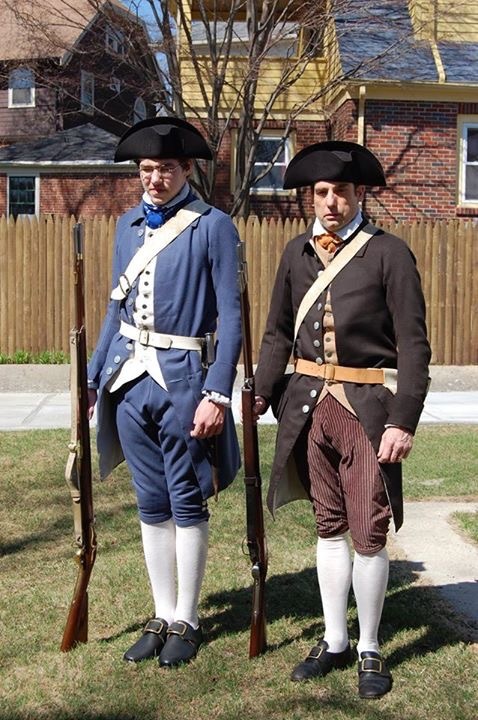 I managed, with sore fingers and considerable snake-eyed concentration, to get breeches and coats finished enough to send these two off to Battle Road better dressed than ever before. 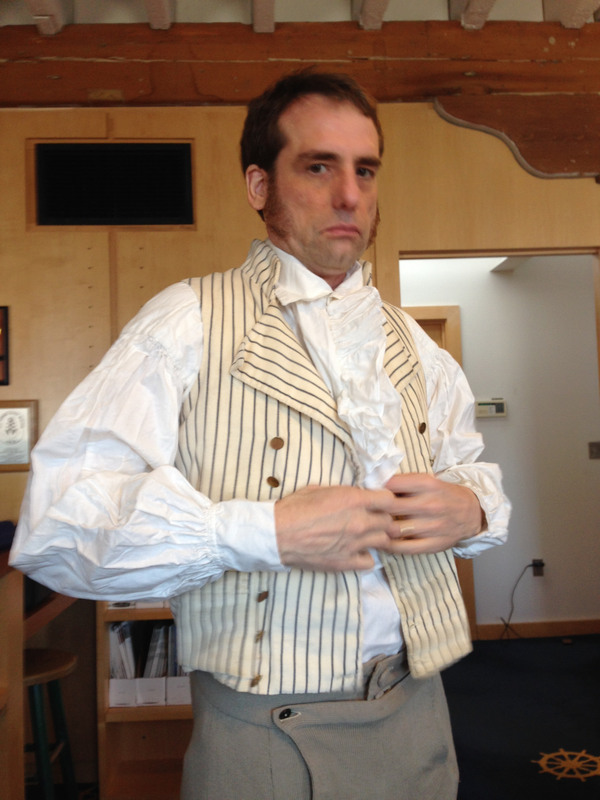 I’m pleased indeed with how the blue suit turned out, and planned to make a blue wool waistcoat to complete the set. Except…the Young Mr prefers some contrast in his clothing (a change from his prior preference for complete camouflage) and now wishes for white. I ask you. Plush. No, really, it’s made of plush. L’Hermione is coming to Boston and Newport in July, and then we have An Afternoon in 1790 planned, with What Cheer Day not far behind, so there’s plenty of need for new waistcoats in a variety of styles– 1780, 1780, 1800 each have their variations. Why not join us May 2nd and 3rd in Providence, and make your own fabulous waistcoat? There’s still a space or two left! Register here. Thank you! They were pleased, and the Young Mr felt very grown up. More so than he is… !